MSSA announces the Vice-Captain of the National CounterStrike: GO squad. The way that Mind Sports South Africa (MSSA) now selects its national teams is by first selecting a squad for each title. Once the squad is selected, athletes within such squad are selected for various terms of duty. 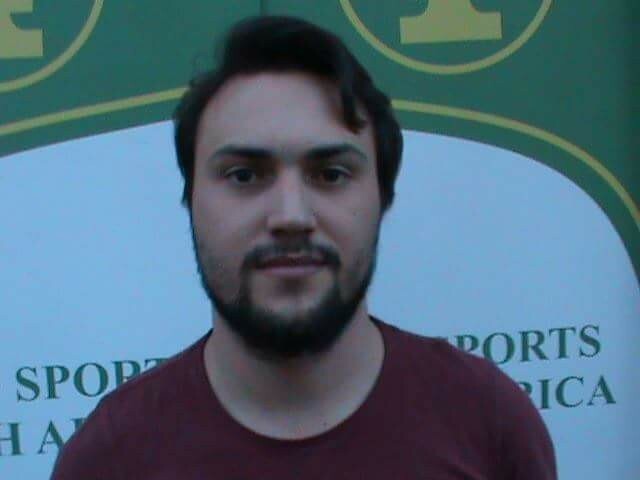 First MSSA selected the Team Captain for the CounterStrike: GO team being Ryan van Schalkwyk. MSSA has now selected the Vice-Captain. The Vice-Captain is non other than Esmari Swart and has become the first female Vice-Captain of a South African CounterStrike: GO squad. 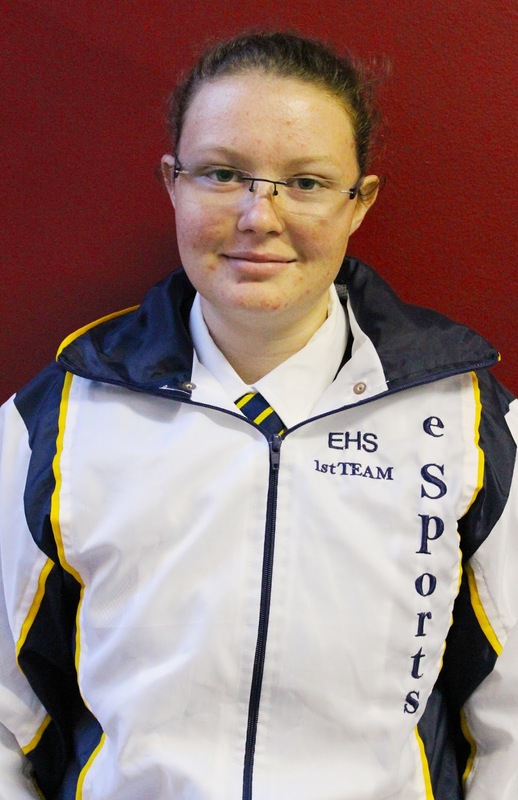 Esmari currently is studying a degree in BSC in Information Technology and Robotics at NWU Vaal. Yet even though she is totally committed to her studies, Esmari finds the time to be truly dedicated to esports in that she founded InTenSity eSports, competes on a regular basis, and even umpires at MSSA events. As Esmari states, "I got into competitive eSports by meeting people in the CS:GO community. Met such amazing and interesting individuals who inspired me and pushed me to try and become the best player I could! I have always enjoyed gaming but never knew the competitive side of it. When i got introduced to it at the end of 2016 I couldn't get enough! Ultimately what drives me is to see the eSports scene in South Africa grow and to go as far as I possibly could go! I enjoy the competition too much to not try my best and get involved in any way possible". Certainly from what MSSA has seen, Esmari is driven. Esmari has already earned herself Gauteng Provincial and National Federation Colours and has both Provincial and National titles under her belt. With Ryan van Schalkwyk and Esmari Swart at the helm of SA's National CounterStrike: GO squad, great things are expected from the squad as a whole. IeSF agree on partnership with University of New Haven. With the continued accreditation of esports as a sport, IeSF and UNH have agreed on a partnership to increase the development of the esports foundation. In detail, IeSF will provide global research samples from its member nations, UNH conduct faculty-driven and student-driven research. And IeSF will support UNH’s esports business class and both parties will cooperating on publishing academic text and guidebooks of esports including academic research results. Both organization will be introducing an internship program to offer more opportunities for people interested in esports. The 2017 Global EsportsExecutive Summit (GEES) this year in November, will be the place where the first esports academic society will be inaugurated. Based on the MOU with UNH, IeSF will expand the connection with other universities to continue and focus educating esports human resources. This is only a start and IeSF would like to reach out to all researchers and universities interested in esports to join the creation of esports theoretical and scientific background to create a sustainable esports ecosystem. In the past Mind Sports South Africa (MSSA) would only select the actual esports team required for the event for which the team is required. 2017 sees a change to the method of selecting teams as now MSSA has decided to increase the number of Registered Players selected to form the national esports squad. Selecting a squad has a number of benefits as it allows MSSA to experiment with different combinations in order to ensure that South Africa can proudly field the best possible team from the Registered Players that had participated at MSSA's National Team Trials. Without doubt the most important, and central figure, of the squad is the Team Captain. The Team Captain is the esports athlete who shall lead the official South African CounterStrike: GO Team to IeSF's 9th World Championships - Busan. Much thus falls on the shoulders of the Team Captain. The Team Captain is responsible for morale, discipline, roster, leadership, and so forth. MSSA has at last reached a decision on the Team Captain who is to lead South Africa's Protea CpunterStrike: GO team. The team captain selected is none other than Ryan van Schalkwyk. Ryan nan Schalkwyk is only 21 and is a software developer. Along with CounterStrike, Ryan enjoys playing my guitar and making music. Ryan quickly admits that he enjoys pushing himself hard and bettering himself. The competitive aspect of CounterStrike: GO enthralls Ryan. It is through such hard work and competitive spirit that has allowed Ryan to earn the achievement of being selected as Team Captain, an achievement of which Ryan admits that he has always dreamed. As Ryan says, " I'm really looking forward to pushing myself and my team as far as we can go at the world championships". There is a reason why Mind Sports South Africa (MSSA) is the largest membership based organisation for gaming in South Africa is due to its continued commitment to promoting gaming at every level, and in every region of our beautiful South Africa. Please note that MSSA has decided that for the remainder of 2017 any player (whether affiliated or not to a member club) be allowed to enter any MSSA Regional Championship. Read more on this here. Thus MSSA is proud to announce that on 2 September 2017, for the first time in the history of South Africa an official esports event will be held in Sedibeng. 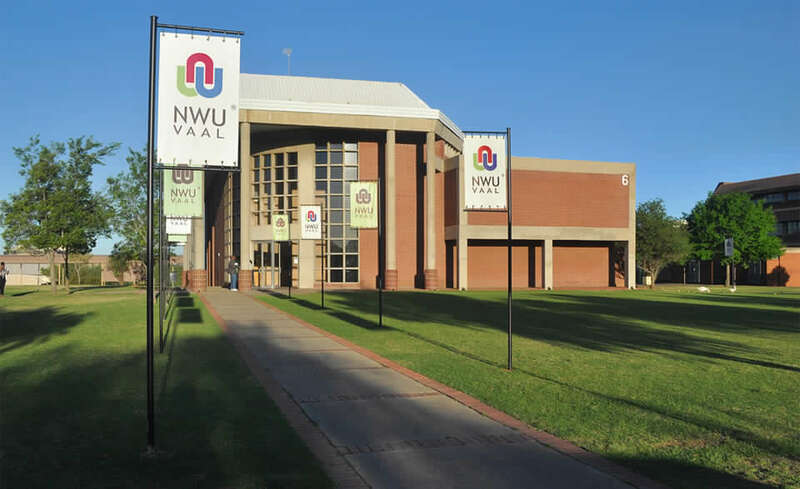 The venue is the NWU - Vaal Campus - Building 9, Vanderbijlpark. MSSA announces its Protea League of Legends team to battle against Switzerland. A number of dramatic changes have occurred in 2017 in Mind Sports South Africa to make MSSA a better and more representative national federation.. Such changes include the election of Morizane Boyes as President, making her the first female to ever hold such office, as well as true gender equity being attained on MSSA's Management Board. 2017 too sees the National Squad for League of Legends also having gender equity. As a result it only stands to reason that Protea teams selected such squad will further reflect the massive changes occurring within MSSA - and the country as a whole. Thus the League of Legends team selected to do battle against Switzerland (as represented by SESF) in an official IeSF test match on 9 September 2017 sees, for the first time, twice as many females included than ever before. Such inclusion of both Simone Beck and Jade Klein is largely due to the efforts of Maryke Kennard who broke through many of the preconceived notions and was a valuable asset to both the 2015 and 2016 Protea Teams that participated in both Seoul and Jakarta. MSSA is convinced that the Protea Team will do South Africa proud as they play from MWEB's MCAVE on 9 September 2017. Mind Sports South Africa responds to the challenge from Tunisia. 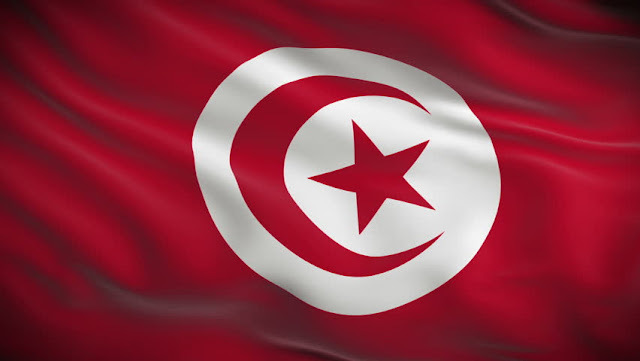 On 28 August 2017 Mind Sports South Africa (MSSA) reported that the Tunisian Association of Gamers (TAG), in preparation for IeSF's 9th World Championship, Busan, had challenged South Africa to an online test match. Mind Sports South Africa (MSSA) has accepted such challenge and the Team Manager, Ryan Boyes, has begun getting the team ready to take on the African juggernauts that are Tunisia. Tunisia, of course has an advantage much envied by all South Africans. With tunisia being so close to Europe, Tunisian esports athletes do not experience the problems with latency that South African esports athletes do. Nevertheless, MSSA is always keen to compete against other African states and sees the test match against Tunisia as vital in terms of creating a better culture of esports in Africa as a whole. The date for the online test match has been set for 16 September 2017. In such test match, both countries shall pit their national League of Legends teams against each other. Tunisia was the birthplace of Hannibal Barca, South Africa the birthplace of Shaka. Both great generals favoured similar tactics on the battlefield, will the tactics of the League of Legends national teams also be similar? When other details have been confirmed, such shall be released. MSSA announces full National Team Squad for League of Legends. However, it should be noted that the entire squad shall be awarded National Federation Colours, and once the athletes actually are selected for the Protea Team to play against an international opponent, the Protea Colours award shall be made. The squad consists of 10 players of whom 5 are male, and five are female. Brandon “Brafester” Fester’s history in competitive eSports started four years ago where he captained a team of friends, with the goal to be the best. His determination and passion helped his teammates, and opponents, grow as players and people, but his leadership is what ultimately pushed him to the top. He is currently captain of the Goon Squad (VexxedPhoenix), the current DGC champions and strongest team in the country for League of Legends. He too promotes growth and development in his communities and organisation. He is currently working on improving his individual skill and preparing his teams for various League of Legends tournaments. On being informed of his selection to the position of Team Captain, Brandon stated, " This has officially become the best and most important day of my life. I can think of nothing more prestigious than representing my country, let alone captaining the side! Thank you for the strength and support! I too have high hopes for the team and future of South African esports on all fronts. I shall do my best to ensure we can not only meet expectations, but exceed them where possible!" MSSA is proud of its choice in Brandon and looks forward to his term as National Team Captain for League of Legends. Currently playing her 4th year of League of Legends, BubblezZz is enjoying her 2nd year playing at a competitive level. She has previously featured as captain and player for the FBDN Temptation side at DGC 2016, but it is with the Valkyrie side that her skills in various fields have really begun to shine. Learning under a variety of mentors, BubblezZz continues to seek further assistance to ensure that she has the right tools available to assist her team in any and all forms of growth and her passion and strong-willed attitude helps inspire and unite her teammates from the Support role on and off the Fields of Justice. Currently favouring Rakan and Brand, with the latter being an iconic pick for her in the Valkyrie side, she has developed an aggressive playstyle alongside fellow teammate Scarlet, although she is fully capable of falling back to her roots of Janna, Nami and Lulu, where she can support her team from a defensive standpoint. She is currently focusing on a female esports initiative alongside teammates Scarlet and Jadai. JewTron started playing League of Legends 6 years ago, finding himself on multiple teams in various positions over the years however, it is the jungle he could call eventually his home and the role as Jungler where he found the most success. The dark horse of the team and often easily written off by his opponents, Jewtron delivers when his team needs him most with a supportive jungling style, and a “team comes first” attitude, allowing for the players around him to do what they do best. He is the ultimate team player and favour picks such as Ivern and Gragas show just that. Jewtron’s current focus is on individual improvement while representing VxP Goon Squad. The League of Legends child prodigy started his journey 6 years ago under a different name, but the name Kiddo would become one of the most recognizable names in the South African League of Legends community where, despite his young age, the 16 year old has already reached a veteran star player status. While Kiddo is known to often use his strong mechanical abilities to win games on his own as a Midlaner, it is his flexibility at being able to play every role at a proficient level that makes him one of the best players the country has to offer. His drive to be the best, along with his compassion and loyalty towards his teammates, has also propelled his development in the field of leadership wherein his focus lies. He is also currently represents VxP Goon Squad. One half of the most dominant botlane the country has ever had to offer, Clax began his career in the midlane nearly 5 years ago where many of the top teams noticed his mechanical skill on a variety of high skill ceiling champions. However it was not until his move to VnR, and subsequent move to the Marksman role, that he truly made a mark on the South African scene where he is now known as one of the best players, and currently the best Marksman in the country. Capable and willing to play any and all champions in his field of expertise, Clax relies on his mechanical prowess and willingness to trade with his lane opponent, even in losing situations, to gain advantages wherever he can. Clax’s aggressive play style and die-hard attitude makes for a fearsome player. Previously the highest ranked South African player this season, Clax hopes to rediscover his unstoppable form and represents VxP Goon Squad. The other half of the most dominant botlane the country has ever had to offer, youNique started playing League of Legends 4 years ago. Now known as the best support in the country; youNique’s consistency at high level play, in-game leadership, and mechnical prowess often have him touted as the best player in general. Favouring playmaking champions such as Alistar and Thresh, youNique controls the tempo of games and sets up his teammates with ease. He is also no stranger to champions such as Janna and Lulu, where he allows his teammates to do the dirty work while he focuses on keeping them alive. As an ex-captain youNique possesses a variety of traits such as leadership, commitment, dedication and drive. His passion for the game and being the best truly inspires those around him. Scarlet started playing League of Legends 4 years ago and she has accumulated invaluable experience while playing for previously notable League of Legends’ teams such as AxE Gaming and VnR.LoL, albeit only a short period of time for the latter. Her experiences over the years now see her spearheading team Valkyrie as their captain. In playing the Marksman role, Scarlet has created quite a name for herself in the community as the highest ranked SA female player and as one of the highest ranked players overall. She finds Kog’Maw and Xayah among her favourite champions, despite favouring Jinx over the years, both of which are champions that allow her mechanical prowess to shine through. The previous captain of Valkyrie, Jadai started playing League of Legends 7 years ago where, as with all other interests and passions in her life, she found herself aspiring for more. She wanted more time playing, more improvement in her skill levels and more opportunities for other females to have a chance to showcase their talent. It is then of no surprise that Jadai has found herself captaining several all-female teams over her playing tenure and her leadership has inspired those around her, male and female alike, to strive for more. Jadai’s role as an enabler for her team is highlighted through the successes she finds on champions such as Shen and Cho’Gath, but she is not averse to taking the carry-role on champions such as Rumble and Kayle. Jadai is currently focusing on improving her Toplane gameplay and she is also focusing on a female esports initiative alongside teammates Scarlet and Jadai. Having started playing League of Legends 8 years ago, which in itself is a testament to her dedication and commitment to the game TheLadyRage’s passion to make her mark on the South African esports saw the former FBDN Knights player make the move to team Valkyrie in 2017 where she also found herself playing a new position as Midlaner. She enjoys playing champions such as Morgana, Heimerdinger, and Ahri, which allows for her to control her lane while giving her the time to study her opponents for a calculated strike. By using her experience and knowledge of the game and champions she tries to keep the flow of her lane in her control, giving her team the chance to make plays around the map. TheLadyRage is currently focusing on personal endeavours and mentally preparing herself for the opportunity to showcase her talent for the South African side. CheriCheriLady started playing League of Legends nearly 5 years ago where, with no initial direction or intention to pursue the game on a serious level, she nonetheless found herself growing better as a player and subsequently featuring for the then FBDN Temptation team at DGC 2016. Despite playing as a midlaner for the Temptation team, her main role was Support and her favourite champion Nami. This just highlights her aptitude as a versatile player while showcasing her desire to and willingness to play the role of “fill” for her team. The current Jungle for team Valkyrie, CheriCheriLady continues to display a playstyle which puts the team’s needs above that of her own. Her go to champion in the Jungle role is Kayn, where her flexibility at playing different styles is apparent in her willingness to play the role of an aggressor. She is currently focusing on learning the Jungle role for team Valkyrie where she continues her progress as a player with a newfound sense of direction. There is no doubt that the position of the Vice-President who is in charge of umpiring is one of the most important positions within Mind Sports South Africa (MSSA). Without having umpires at each and every event, events just can not happen as without due and following proper process, things fall apart. Thus with the sudden resignation of Jessie Joubert, Adele Janse van Rensburg quickly rose to the occasion. Adele, in spite of her other responsibilities, reached out and has also taken on the duties of appointing, and reviewing umpire's reports, as well as liaising with IeSF's Referees' Commission. Adele herself has a great deal of experience in umpiring., and is thus more than aware of what MSSA expects from its umpires in order to deliver Regional, Provincial and National Championships. Adele is living proof that if you want a job done, give it to a woman, and MSSA is very grateful to have her onboard. Massive change to MSSA's Regional Championships. South Africa has 56 regions within the nine provinces. The districts are the municipal districts as defined by the South African government. The Minister of Sport and Recreation considers growth at the Regions as vital to the growth of sport in South Africa as a whole. Mind Sports South Africa (MSSA) totally subscribes to the view expressed by the Minister in this regard. Allow a greater base of players to participate in official MSSA championships without having to travel vast distances. Thus, considering that Regional Championships are to be used as a vehicle to increase MSSA's footprint across the country, MSSA has decided that for the remainder of the year any player (whether affiliated or not to a member club) be allowed to enter any MSSA Regional Championship subject to an additional payment of R20.00 per player per game, and on completing (in its entirety) an 'Associate Player Registration Form'. . Such decision will allow such gamers to win medals, and to earn Regional Colours, but will not extend to any other benefit of membership such as qualifying for National team Trials, voting rights, and so forth. Also, such additional payment shall not be retained by the host club, but shall be paid by such host club directly into MSSA's bank account. Ekasi Esports is at the core of community development and ensuring that scarce skills are catered for when it comes to Esports in the rural and township areas. To achieve gaming skills that meets international level, esports gamers needs to be exposed to high speed internet connectivity to allow online participation, they require computers that are spec'd and an ecosystem that promotes skills transfer through gaming practises. The team is currently having unspec'd computers, a line that has 10mb which is too slow for online participation and the team trains once a week. 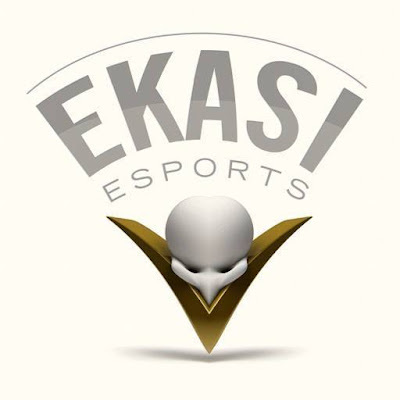 The team has a female CS:GO team and a professional male team with such constraints Ekasi Esports is in talks with sponsors and partners to improve their conditions and be able to build more teams that will have a training platform and facilities. The team in preparing itself to host regional championships for township teams and schools has embarked on a journey to invite all the esports enthusiasts and gamers to be part of a gaming experience. The team manager, Mpho Tladi, emphasizes that the 1st Soweto LAN Experience is a capability test to ensure that the club will be able to host a critical event like regional championships. In order to run a Regional Championships a club needs to check the logistics behind such a prestige event, thus will assist organisers to be in a better position to host and comply with all MSSA's rules and regulations. Ekasi Esports is sending out an open invitation to sponsors, donors to come on board and part take on the event. Nicolene van der Linde makes history. Empangeni High School was the undisputed winner of Mind Sports South Africa's Online League for 4 term schools for the League of Legends esports period. Empangeni's team was also the only team in the League of Legends league that had members of both genders. Nicolene van der Linde has the undisputed honour of becoming the first female to receive KZN High School Provincial Colours for esports, and only the second female to ever receive KZN High School Provincial Colours in the history of South Africa. Nicolene too is also the first female to qualify for National Team Trials for League of Legends from KwaZulu Natal. Well done Nicolene, you are helping to make it better for so many more people. 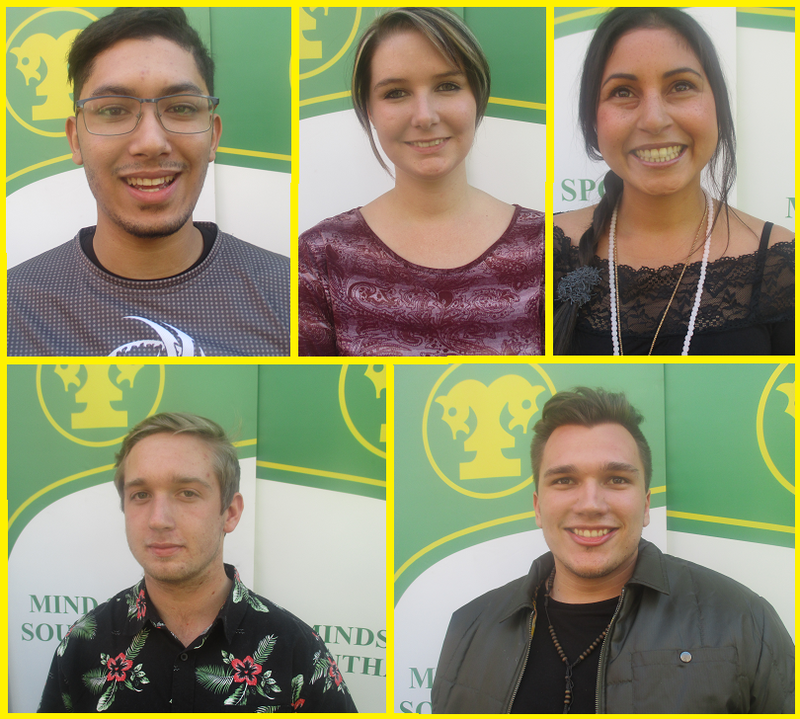 Mind Sports South Africa receives a challenge from Tunisia. 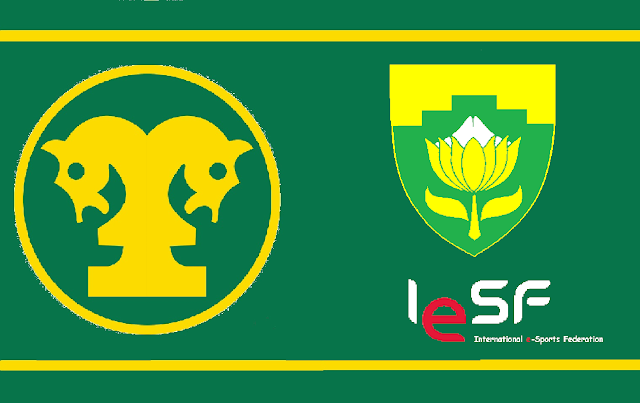 On 28 August 2017 Mind Sports South Africa (MSSA) reported that the Swiss e-Sports Federation (SESF), in preparation for IeSF's 9th World Championship, Busan, had challenged South Africa to an online test match. The way in which the national teams get to practice against their peers is through IeSF's online test match system. Shortly after MSSA received the challenge from SESF, a challenge was received from the Tunisian National Federation for esports. MSSA is always keen to compete against other African states. However, South Africa cannot be complacent about about Tunisia as the standard of play in Tunisia is very high indeed. The date for the online test match is still under negotiation. When final details have been confirmed, such shall be released. League of Legends School rankings: Hoërskool Wonderboom still ranked as top school. Hoërskool Wonderboom's League of Legends esports team. With Empangeni High School's convincing victory in MSSA's online school league, the school shot from being unranked to being the second ranked school team in the country. It is no mean feat to move up 187.5 seeding points in only one event, and it is credit to the standard of play exhibited by the team that the team did so well. However, even with Empangeni's rapid rise to the top, Hoërskool Wonderboom has maintained its position as being the top ranked team in the country. The school League of Legends rankings continue to grow from tournament to tournament. Suchh growth is testament to the willingness of schools to recognise esports and to commit bot time and resources to the sport. Without the growth of esports at school level, it is unlikely that the standard of South African esports would ever really improve as the schools provide the sport with a strong foundation. However, MSSA is mindful of the fact that there is still much to do at school level, and such will be a hot discussion point at its 33rd Annual General Meeting on 3 December 2017. MSSA's events for the month of September 2017. DotA 2: Team Theory of Oakhill College leads. Quick Moriarty, it's Goon Squad. What if esports is accepted into the Olympics. School league (4 term) - Rankings for DotA 2. School league - Round 1 results for DotA 2.